Don Patterson (July 22, 1936, Columbus, Ohio - February 10, 1988, Philadelphia, Pennsylvania) was an American jazz organist. Patterson played piano from childhood and was heavily influenced by Erroll Garner in his youth. In 1956, he switched to organ after hearing Jimmy Smith play the instrument. In the early 1960s, he began playing regularly with Sonny Stitt, and he began releasing material as a leader on Prestige Records from 1964 (with Pat Martino and Billy James as sidemen). His most commercially successful album was 1964's Holiday Soul, which reached #85 on the Billboard 200 in 1967. 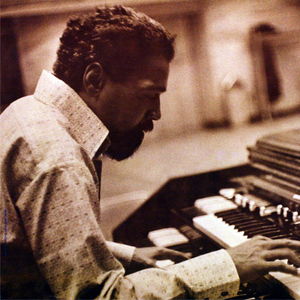 Patterson played piano from childhood and was heavily influenced by Erroll Garner in his youth. In 1956, he switched to organ after hearing Jimmy Smith play the instrument. In the early 1960s, he began playing regularly with Sonny Stitt, and he began releasing material as a leader on Prestige Records from 1964 (with Pat Martino and Billy James as sidemen). His most commercially successful album was 1964's Holiday Soul, which reached #85 on the Billboard 200 in 1967. Patterson's troubles with drug addiction hobbled his career in the 1970s, during which he occasionally recorded for Muse Records and lived in Gary, Indiana. In the 1980s he moved to Philadelphia and made a small comeback, but his health deteriorated over the course of the decade, and he died there in 1988.